I am new to garment sewing (this is an important information). Nevertheless, I took the lovely summer dress challenge. 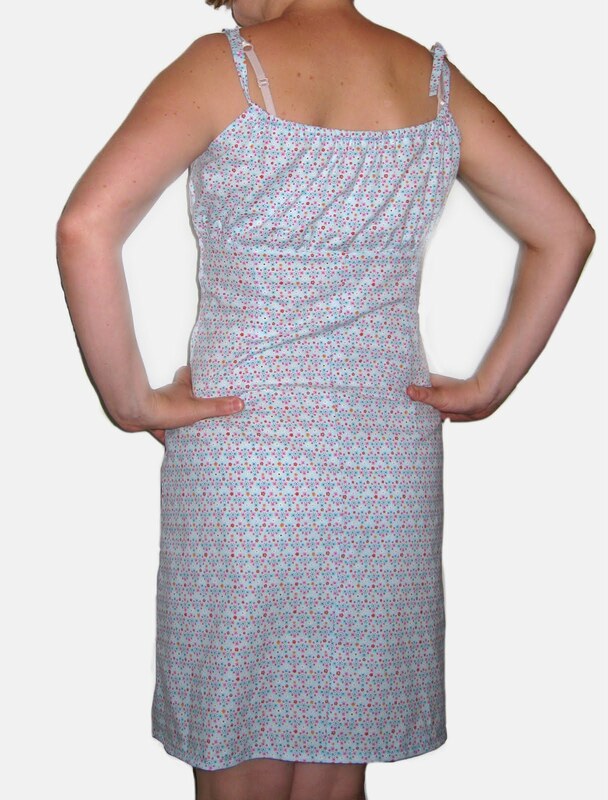 I wanted a very quick and easy to sew empire line summer dress and ended up with Burda 8071. I liked the pattern which was actually easy enough for me. I had to make some adjustments, though. At the end I am happy with how it turned out. It was a good decision to leave the bottom seam to the very end. I used a 100% cotton from Hilco in light blue with tiny flowers. Thanks for entering the 'lovely summer dress challenge'. Quite a lovely dress, indeed. And thanks for sharing your sewing details with us! And I have to say, I love those chickens, too!